Introducing Rooster Ridge Pheasant Hunting Lodge in South Dakota - the next best thing to owning your own professionally guided South Dakota pheasant lodge. Pheasant hunting is an experience you will never forget and something you will want to do every year. 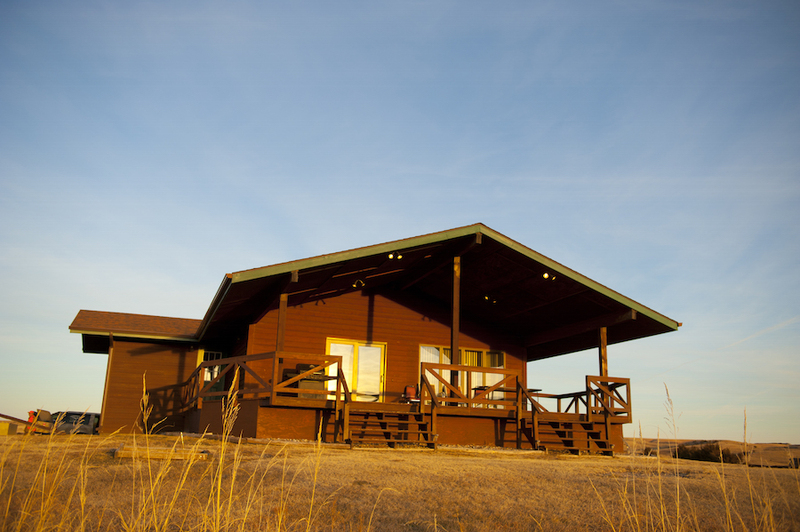 Situated on the bluffs above the majestic Missouri river in South Dakota, we are proud to offer prime South Dakota pheasant hunting during the day and relaxing accommodations at night. Hunt ringnecks through 7,000 plus acres of prime South Dakota pheasant habitat. This is Pheasant Hunting in South Dakota! It's every pheasant hunter's dream! Pheasant hunting with thousands of acres habitat at your disposal. Enjoy hearty meals and spacious, comfortable accommodations. After the pheasant hunt, enjoy a hot tub for soaking tired muscles or relax on the porch and enjoy the majestic view of the Missouri river with a cocktail. Hunting in does not get any better! Throughout your trip, your Rooster Ridge guides will serve as your host, delivering superb guided pheasant hunts and coordinating all meals. From the moment you arrive to the moment you leave, your personal hunting guide will do everything possible to make sure your trip is flawless. Rooster Ridge Lodge is owned and operated by Gage Outdoor Expeditions.